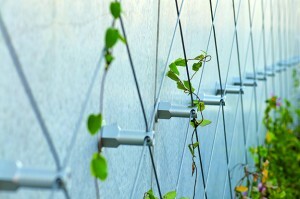 Carl Stahl are a system supplier for creative steel cable and mesh solutions in Architecture. 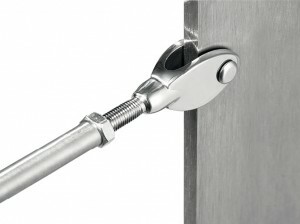 Stainless steel cable assemblies I-SYS® with European Technical Approval. 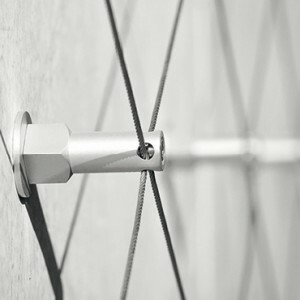 Stainless steel cable mesh X-TEND® for 2D and 3D applications with European Technical Approval. Architects are always in search of exceptional ideas and long lasting materials for their projects. 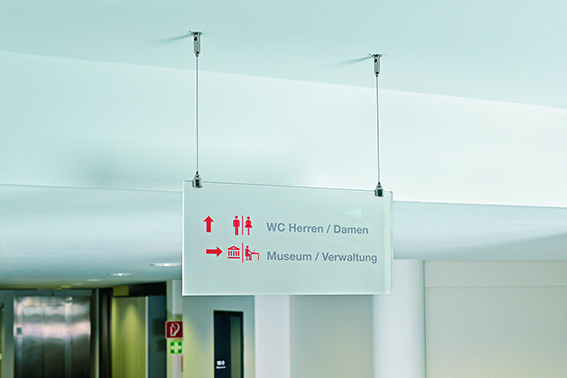 With the stainless steel cable system I-SYS®, the stainless steel mesh of the X-TEND® series and the POSILOCK® suspension system, Carl Stahl Architecture optimally exploits the potential of stainless steel and offers versatile solutions for architectural and structural applications. The Carl Stahl corporation was founded 1880 and nowadays is one of the world’s leading manufacturers of products and services in the field of industrial cables, lifting equipment and security technology as well as offering steel cable and mesh solutions for technical, medical and architectural applications. Today, Carl Stahl operates from 62 locations worldwide. A light appearance and a robust solidity are the kind of attributes usually excluding each other. With X-TEND® stainless steel cable mesh however, wire rope specialist Carl Stahl succeeds to combine them in a technically and architectonically pleasing way. 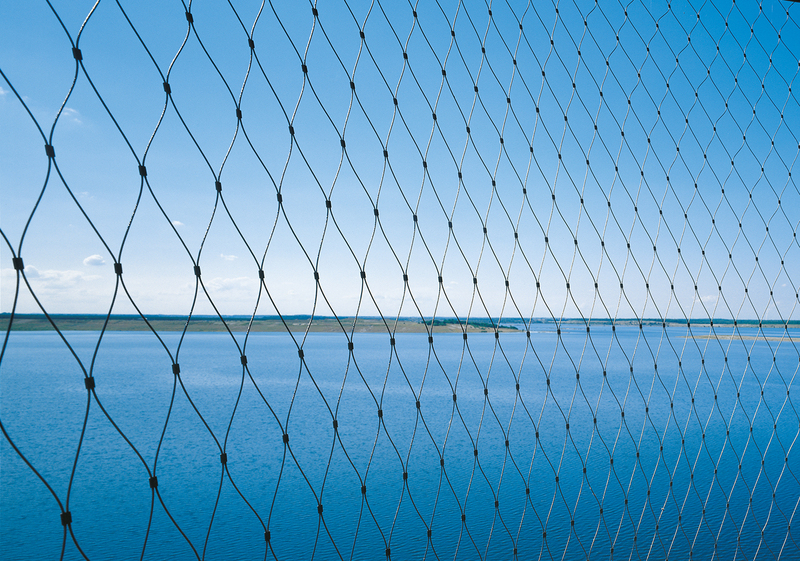 Depending on application and statical necessities, X-TEND® mesh is available with 1,5mm to 3mm high performance cables, being friction-proof combined with ferrules in a tested process. X-TEND® convinces with low self-weight and high transparency, but can be used for long spans and big surfaces due to its product-immanent stability and flexibility. 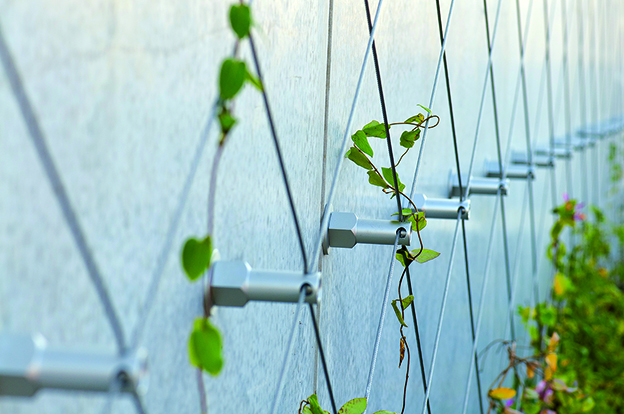 I-SYS® Stainless steel cable assemblies are among the most versatile elements for architecture. They are functional, stable, long-lived and simultaneously decorative and individually deployable, for all kinds of applications from the balustrade infill up to highly stressed suspension. 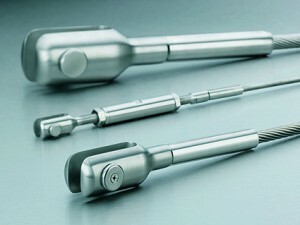 All products from the I-SYS® program are made of high grade stainless steel AISI316. This standardised fastening system allows a point or linear fastening and tensioning of load bearing structures. 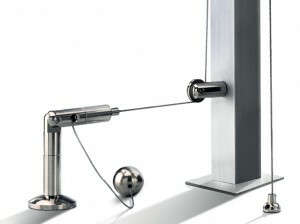 The connection elements and the acting forces adjust automatically in the direction of pull. This three-dimensional adjustable system can balance dimensional tolerances, makes the installation easier and minimises the planning effort. The statical proven elements are available in different sizes and are suitable for forces from 25kN to 200kN. Shop designs and interior architecture demand elegant and open installation solutions. The POSILOCK® system offers individual solutions for all kinds of suspensions, by freely combining the basic elements of cable tensioning and cable anchoring with diverse additional elements, for example in the areas of product presentation, shelf systems, ceiling and floor attachments etc. 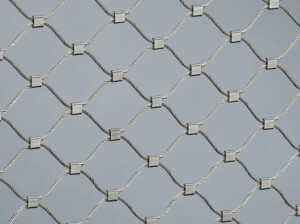 Individually controllable LED dots, combined with a specially developed, five-wire ribbon cable, are attached to junctions of stainless steel mesh, between stainless steel cables or on other structures. They create a light display area of any size for two- or three-dimensional multimedia presentations. Integrated processors in every light ensure the necessary flexibility for dynamic image transitions and identical colors. Images, animations and videos are transmitted directly to the system via standardized interfaces. Special software allows real-time video rendering and the programming of interactive, creative light designs. X-LED offers major advantages in comparison to comparable technologies such as static lighting, video boards and projection. The technical characteristics are compelling. Car park facades, Façade greenery, staircase fall protection, walkway balustrade infills, suspensions, sign systems, separations, claddings, helicopter landings pads or even a media-façade with X-LED – Carl Stahl Architectural Products suit the needs in airport architecture for the creation of light, open structures with a high level of constructional security at the same time. With its functional versatility, they are among the most multi-faceted building materials, and offer architects and planners a wide range of individual design solutions and creative interpretation for a stylish airport architecture. One example is the use of X-TEND® for transparent car park façade cladding contributing at the same time to a controlled radar reflection. 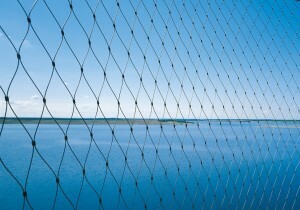 The mesh enables a draft-free ventilation and protects from driving rain in open floor structures. This leads to an airy and light atmosphere inside, and reduces the necessities for air-conditioning, sprinkler systems and lighting. Depending on light exposure, mesh width and the viewing angle, X-TEND® mesh appears differently, from almost transparent to having an opaque shimmer. The blackened version of X-TEND®, or X-TEND® in different colours, are ideal for the creation of different visual effects. The option of combining X-TEND® mesh with LEDs, called X-LED, offers possibilities to implement information, entertainment and advertisement on media panels on the outside as well as in the interior of airports. Carl Stahl is offering a wide portfolio of both standard products and specific project solutions for cable and mesh applications, including services like design, planning, structural analysis as well as installation.